Have you seen this pinned 1000 times? you pinned it vowing to make it! 1/2 to 2/3 cup per 1 cup vinegar. when you take a shower? and, I see you blushing! so SLIPPERY when trying to clean. up naked to the ER. "I fell and couldn't get up!" and he's like "Why are you naked and soaking wet?" out of the shower also. can use a spray nozzle! Ladies, we've gotta have the right tools! Overall, I will use Dawn & Vinegar Shower Cleaner, slightly modified. Leave me a comment with your results! 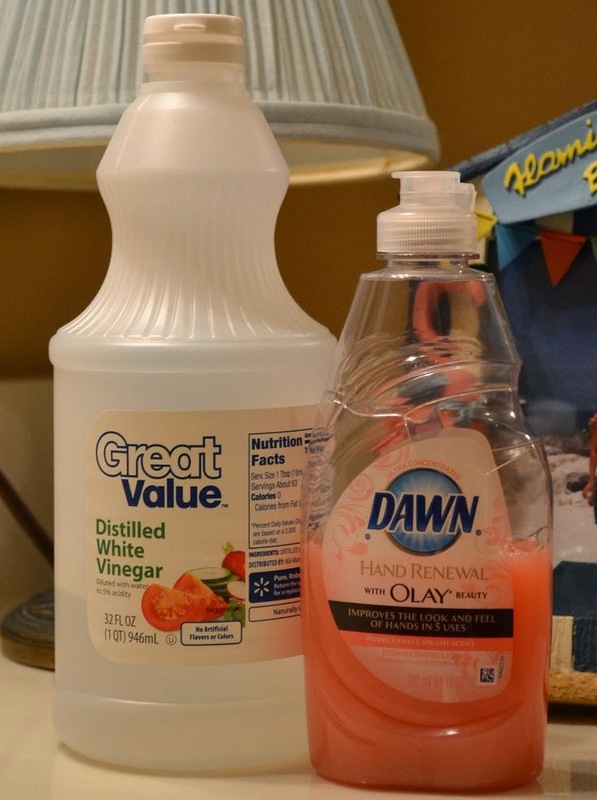 I'd love to hear your review of Pinterest Dawn & Vinegar Shower Cleaner.